Do you want cleaner, safer drinking water for your family? What about longer-lasting, softer laundry? How about more efficient home appliances and healthier bathing water? Water treatment filters in your home are the solution. They're designed to improve the quality of water by eliminating hard water, excess minerals, and more. Carbon filters: This is the most popular choice for home water filtration systems. According to Livestrong, two types of carbon filters exist: Granular activated carbon and block carbon. Both filters use a similar process in which tap water flows through a positively charged, highly absorbent charcoal filter that uses adsorption (the adhesion of molecules of a liquid to a surface). Pollutants in the water are trapped inside the tiny pores of the charcoal filter. Both water treatment filters remove chlorine, radon, and volatile organic chemicals (VOCs), such as pesticides and herbicides. It also removes “large, dangerous microorganisms, such as giardia and cryptosporidium”, which cause various diseases. However, carbon filters can't remove any compound that's smaller than the charcoal filter, including inorganic contaminants and heavy metals, such as minerals, salts, arsenic, asbestos, copper, fluoride, mercury, nickel, nitrates, and sulfate. It also cannot remove viruses. Deionization and ion exchange filters: These filters remove or exchange ions, like sodium, with unwanted ions, like heavy metals. This removes inorganic compounds, as well as sodium, calcium, and magnesium. This is particularly useful for softening hard water. However, these water filtration systems cannot remove bacteria or disease-carrying particles, according to APEC Water, a leading U.S. supplier of drinking water systems. This filtration system also won't work for those with low sodium diets. Distillation filters: Tap water is heated to create steam, which then condenses and leaves behind contaminants. Distillation treatment systems remove asbestos and heavy metals, such as copper and mercury. It also removes water-hardening minerals like calcium, magnesium, and phosphorous. However, distillation cannot remove pesticides, herbicides, and chlorine because the boiling point of these solutions is lower than that of boiling water. Mechanical and ceramic filters: Small holes in mechanical and ceramic filters trap contaminants and are used in conjunction with other water filters to remove chemicals. Ozone filters: These filters use oxidation, which pushes oxygen through ultraviolet (UV) light, creating ozone. The ozone is added to water in the form of bubbles, and its molecules release toxic oxygen atoms that disinfect water and remove microorganisms. Oxidation doesn’t remove many chemical contaminants, so using other water treatment systems in conjunction with this filter is recommended. 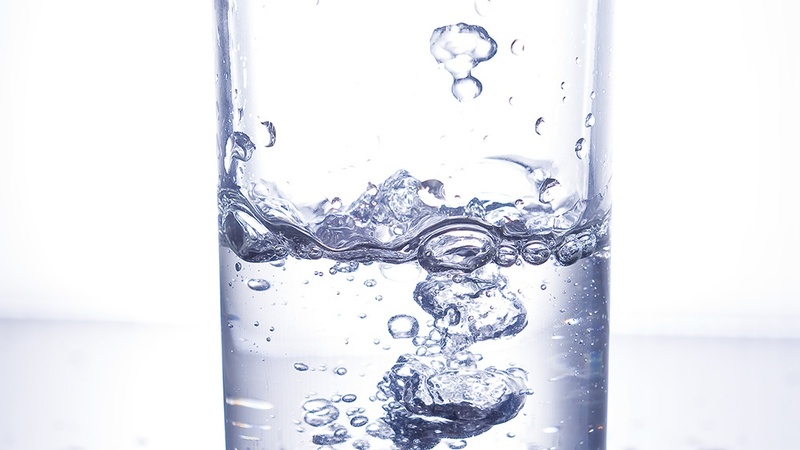 Reverse-osmosis filters: Using high water pressure, tap water is pushed through a semipermeable membrane that prevents particles that are larger than water molecules from passing through. The residue held by the membrane is flushed away by additional tap water. This water treatment system removes contaminants like lead, mercury, and iron. However, “reverse osmosis will not remove some pesticides, solvents, and metals such as chlorine and radon,” according to Frigidaire, a commercial home appliances brand. Sediment filters: These filters capture and hold larger particles like microorganisms, dirt, rust, and sand that can’t dissolve in water. Different sediment filters include depth filters and surface filters. Ultraviolet filters: Two types of ultraviolet filters exist: Class A and Class B. Class A filters protect against hazardous bacteria and viruses, while Class B filters inactivate non-disease-causing bacteria. Water softening filters: These filters add salts to the water and employ an ion exchange process to reduce water hardness, remove barium, and lower calcium and magnesium levels. These filters don’t remove many contaminants, so the addition of a reverse-osmosis filter is recommended.